Today, I begin a series of blog posts under the title: “Destruction by the Numbers,” based on new information my brother Todd has added to his website: http://eyeonlakeo.com. 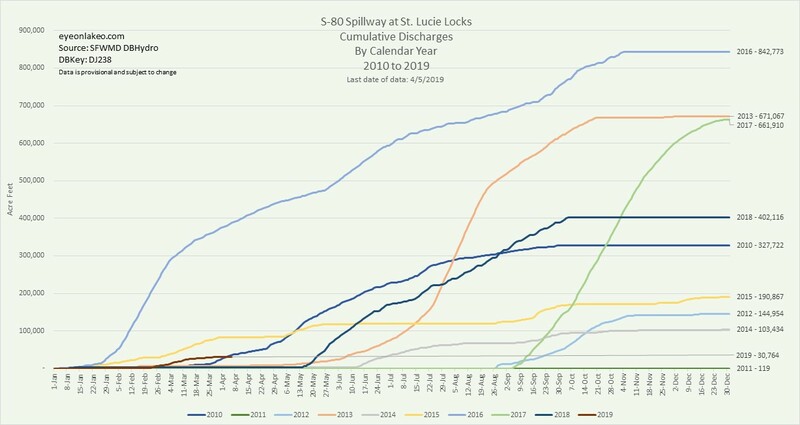 The first slide we will study is calculated under Historical Discharge Graphs for “S-80, Calendar Year 2010 to 2019.” S-80 is the Army Corp of Engineers’ structure located at the C-44 Canal that discharges water to the St Lucie River/Indian River Lagoon from two sources. 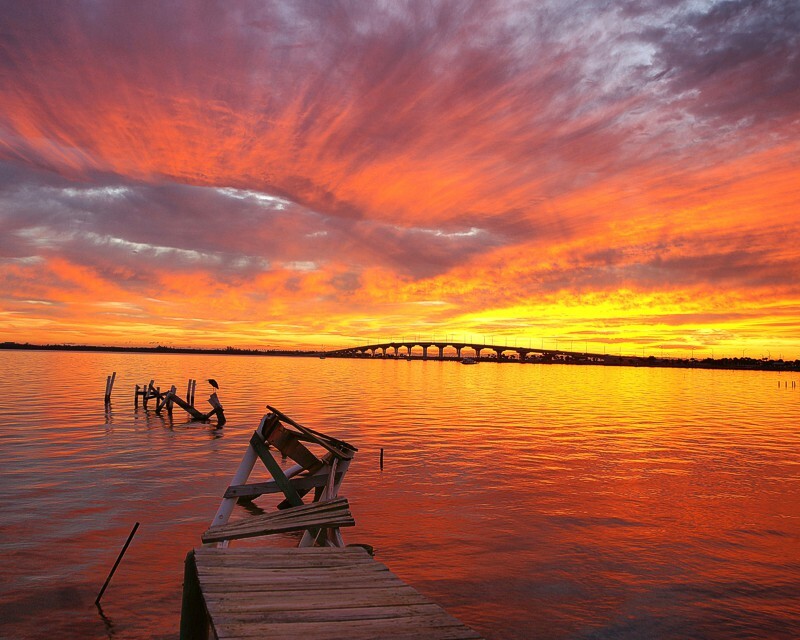 First, from the basin surrounding the C-44 Canal; and second, through S-308 at Lake Okeechobee. Todd’s chart allows us to isolate the most recent decade, 2010-2019, and see that the highest discharging year during this time was 2016 at 847,773 acre feet. 2016 was by far the worst year in recorded history for cyanobacteria blooms being discharged from Lake Okeechobee and spreading throughout the river system. There was such massive blue-green algae build-up at Bathtub Beach that the waves and shoreline were completely green. Don’t be intimidated by the left axis’ measurement of acre feet. Acre Feet is easy to calculate as it means exactly what it says. The acreage noted, in this instance, 847,773 acres, would be covered by one foot of water. 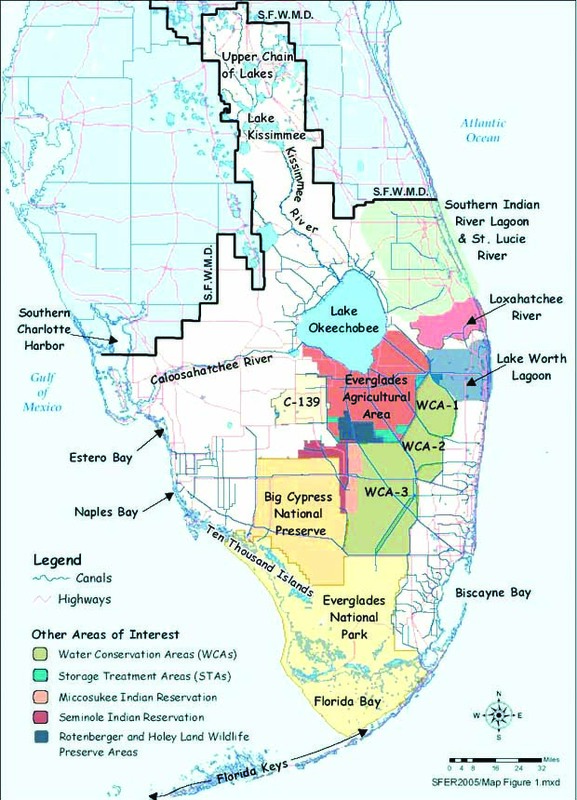 For reference, I will use the Everglades Agricultural Area, (EAA), located underneath Lake Okeechobee that we talk about all the time. This farmed area, mostly sugarcane, is 700,000 acres. 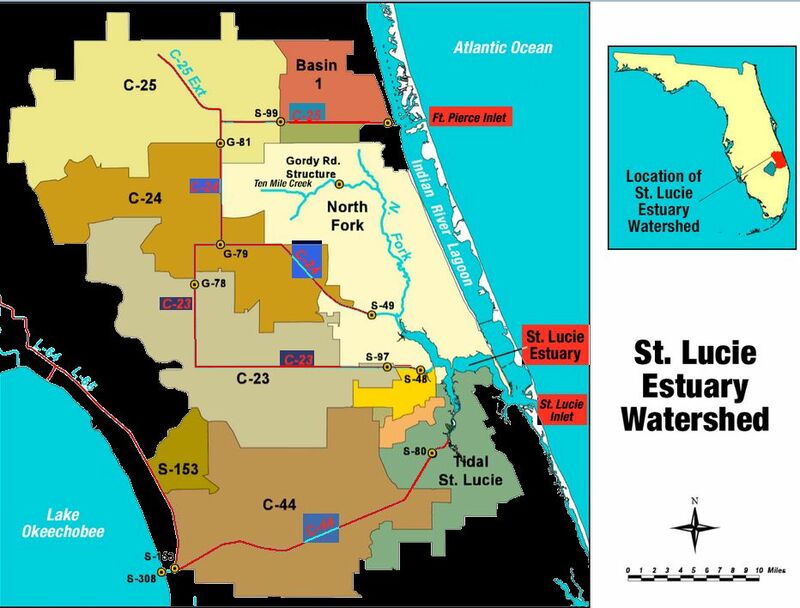 So 847,773 acre feet of water —dumped into the St Lucie River from S-80, in 2016 –would cover the entire EAA, and more, by one foot of water! 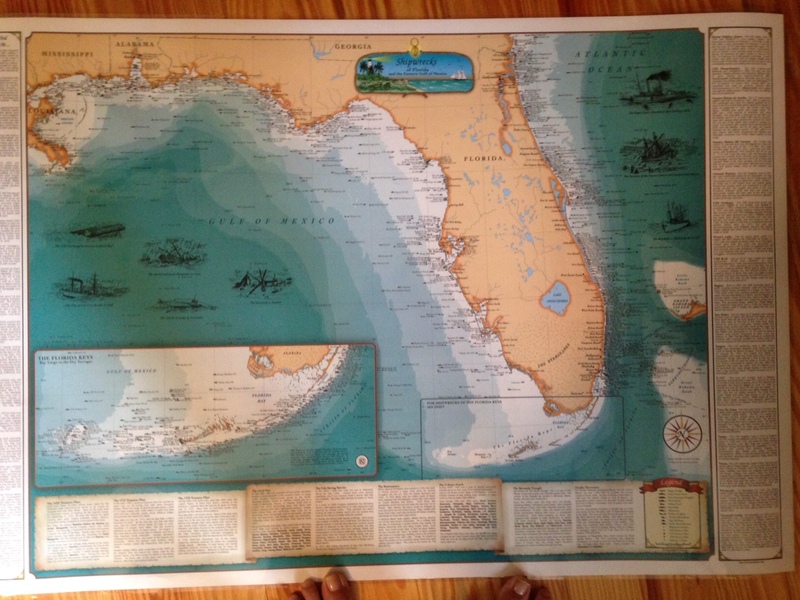 ~The map below shows the EAA in a salmon color. 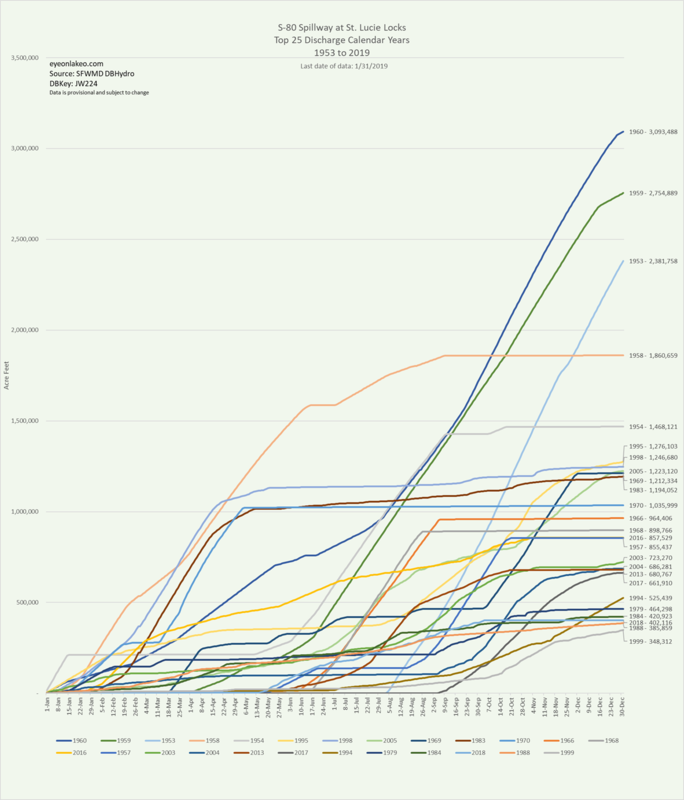 Back to the chart. The next worst year, following 2016, was infamous 2013, the year that became known as the “Lost Summer,” and really started the river’s revolution at 671,067 acre feet. 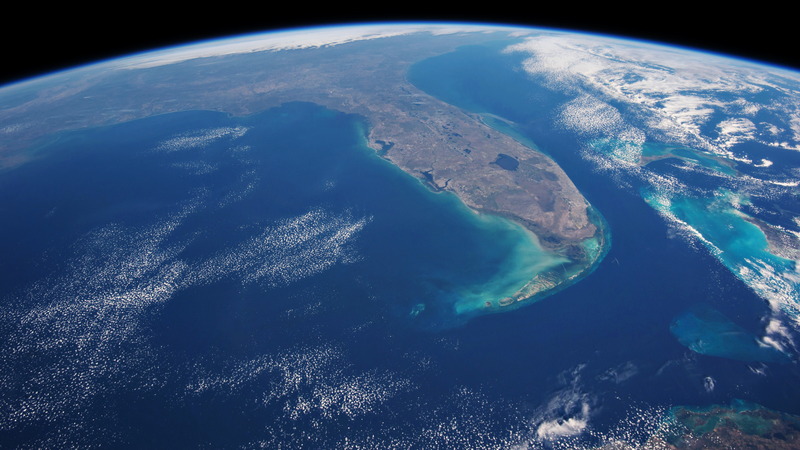 At one foot deep, the amount of water discharged would just fit inside the boundaries of the 7000,000 acres of the Everglades Agricultural Area. It is interesting to note that 2017, a year not often mentioned, closely followed with 661,000 acre feet. 2018, a horrible water year, fresh in our memories, actually came in fourth at 402,116 acre feet! Obviously timing and temperature are factors too. ~2010, 2015, 2012, 2014, 2019, and 2011 follow. Of course 2019 is not even finished. It will be interesting to see where it ends up. The EAA is labeled and shown in a salmon color. It is approximately 700,000 acres. S-80 is located along the C-44 Canal that connects Lake Okeechobee to the South Fork of the St Lucie River. Maps courtesy of the SFWMD. Thank you for all you’ve done. Can you do the same for S-79? Thank you. 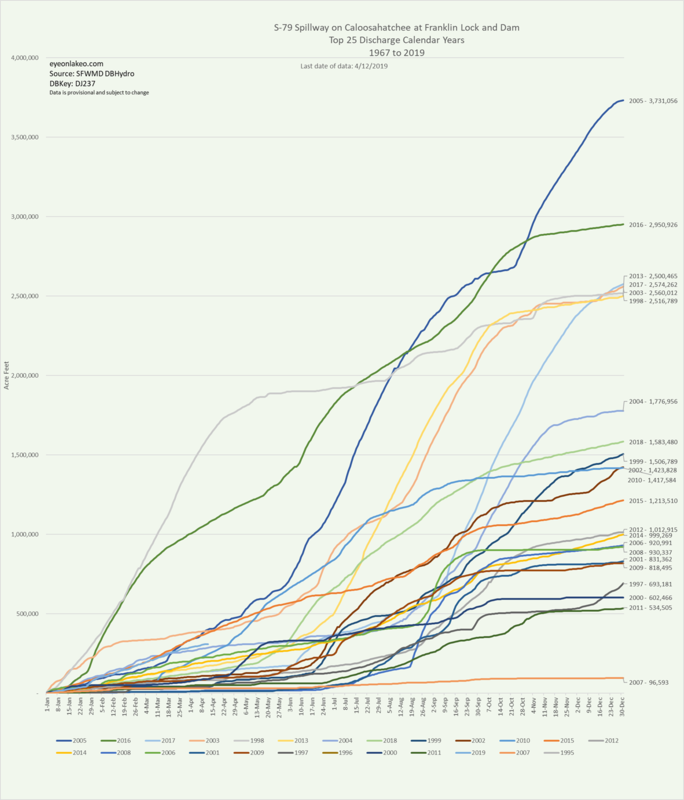 Wondering if you can do the same graph (2010-2018) for S-79. i watched a show on NHK “Japan”. It was a a documentary on the BLACK tsunami. This tsunami actually caught fire but was not shown becase the vidio showed people dieing.I believe our situation here is the same. Black Liquor is a toxic sludge paper mills used to pollute everything with. Then they found out they could superheat the black liquor and inject it into a boiler to produce electricity. We need a boiler on a barge to superheat all this toxic muck and maby make electricity. I suppose I am just dreaming—this state gov. is incompitant—I will give an example. 316 stainless steel is twice as hard as steel. A 1/8 inch 316 stailess steel plate can stop 95% of all the bullets. 2 stainless steel 1/8 plates with a piece of 1 inch oak wood sandwiched in between can stop just about everything fired from a gun. Why not make school desks out of this with a removeable top for a bulletproof shield. Instead the money grabbers will grab many millions and nothing will happen.. Like this debateing will solve the problem. Maby they should use harsh language to stop the next school shoothing.